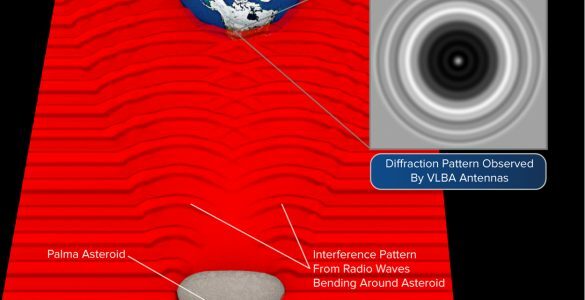 The Atacama Large Millimeter/submillimeter Array (ALMA) has reached a major milestone by extending its vision fully into the realm of the submillimeter, the wavelengths of cosmic light that hold intriguing information about the cold, dark, and distant Universe. This achievement, which was marked by the completion of ALMA’s High Frequency Observing Campaign, opens an entirely new window on the Universe for ALMA and goes beyond its existing capabilities with the Band 9 receivers. It also is a critical step in the telescope’s commissioning process, which brings its full capabilities to bear and makes them available to the international astronomical community. As a demonstration of its new capabilities, the commissioning team released a stunning new image of planet Uranus as it appears in submillimeter wavelength light. 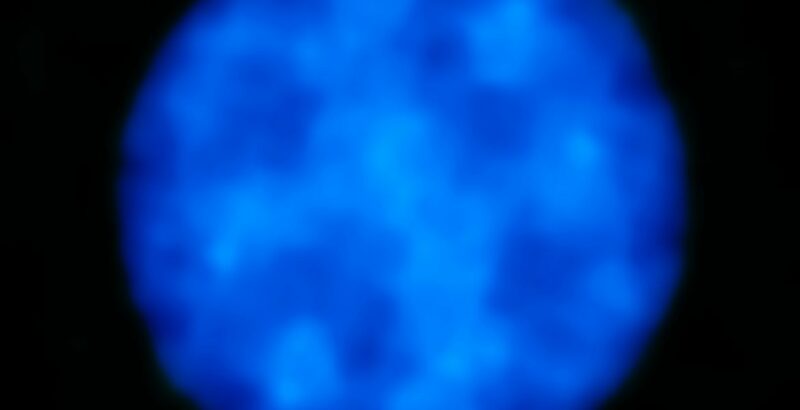 The image — obtained with ALMA’s highest frequency (shortest wavelength), Band 10 receivers — reveals the icy glow from the planet’s atmosphere, which can reach temperatures as low as -224 degrees Celsius. 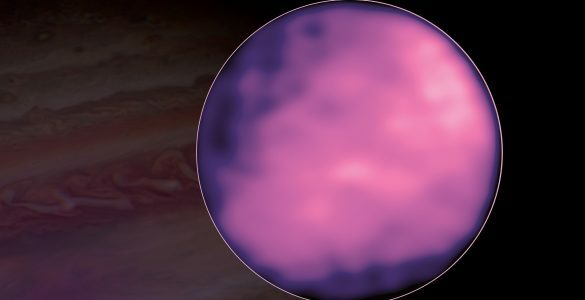 ALMA’s now broader range of capabilities will enable astronomers and planetary scientists to study and monitor temperature changes at different altitudes above the clouds of Uranus and other giant planets in our solar system. ALMA observes the cosmos by using a series of precisely tuned receivers that are installed on each of the array’s 66 antennas. Each receiver type is sensitive to a particular “band,” or range of wavelengths, of the electromagnetic spectrum. The highest frequency/shortest wavelength Band 10 receivers have already been installed and tested on a majority of the ALMA antennas and the remainder will be installed and integrated over the next several months. To take full advantage of ALMA’s new high-frequency capabilities, the commissioning team is in the process of refining two new observing techniques. 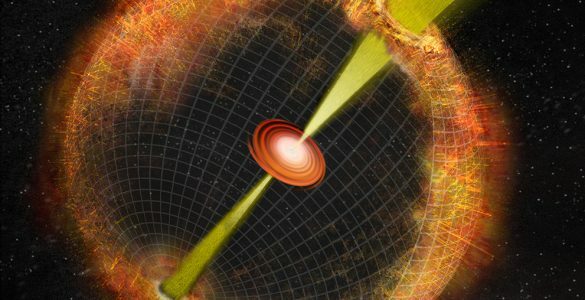 The first, “band to band transfer,” enables ALMA to observe at high frequencies in less than optimal weather conditions by first observing an object at lower frequencies, and then using that data to calibrate, or “tune,” the telescope for a particular observation. 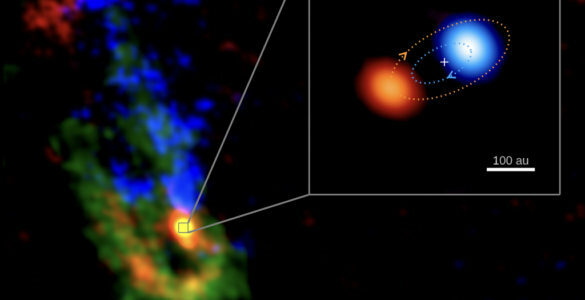 “This technique will greatly expand the amount of time ALMA can effectively study the Universe at higher frequencies,” said Violette Impellizzeri, a Joint ALMA Office astronomer with the National Radio Astronomy Observatory. Teams from around the world are still on their way to ALMA to further verify these techniques and provide the optimal observing strategy for observing with ALMA at high frequencies. The Atacama Large Millimeter/submillimeter Array (ALMA), an international astronomy facility, is a partnership of Europe, North America and East Asia in cooperation with the Republic of Chile. 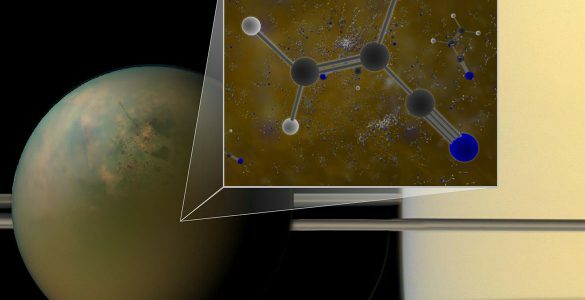 ALMA is funded in Europe by the European Southern Observatory (ESO), in North America by the U.S. National Science Foundation (NSF) in cooperation with the National Research Council of Canada (NRC) and the National Science Council of Taiwan (NSC) and in East Asia by the National Institutes of Natural Sciences (NINS) of Japan in cooperation with the Academia Sinica (AS) in Taiwan. 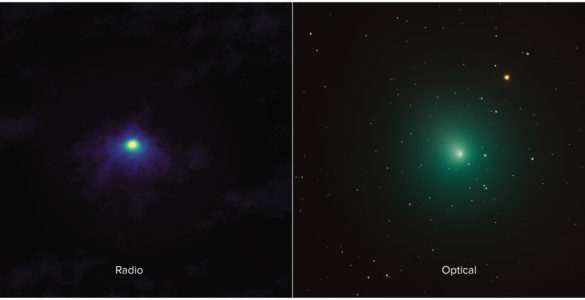 The international commissioning team for the High Frequency Observing Campaign was led by Satoko Takahashi of the National Astronomical Observatory of Japan, ALMA’s representative East Asia and Anthony Remijan of the National Radio Astronomy Observatory and the ALMA Program Scientist for Extension and Optimization of Capabilities. 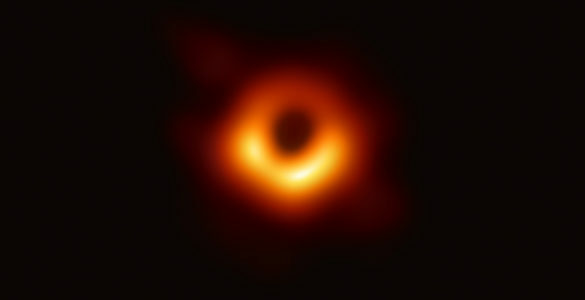 Other members include Catherine Vlahakis, Neil Philips, Denis Barkets, Bill Dent (JAO/ESO), Ed Fomalont, Brian Mason, Jennifer Donovan Meyer (NRAO); Violette Impellizzeri, Paulo Cortes, Christian Lopez (JAO/NRAO); Christine Wilson (NRAO/McMaster University); Seiji Kameno, Tsyuoshi Sawada (JAO/NAOJ); Tim Van Kempen, Luke Maud & Remo Tilanus (Leiden); Robert Lucas (Grenoble); Richard Hills (Cambridge); James Chibueze, (NAOJ); Akihiko Hirota (JAO/NAOJ). 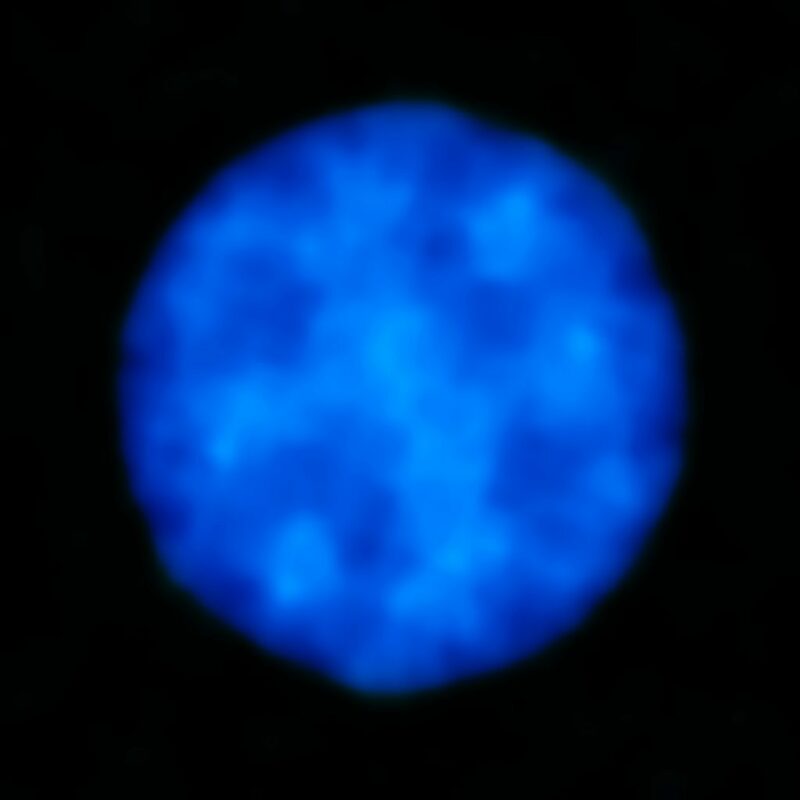 Planet Uranus as seen with ALMA's Band 10 receivers. ALMA's high frequency Band10 receiver.